The AeroPilates® Reformer 266 is the newest addition to the AeroPilates line. This reformer comes with three black standard resistance cords. The comfortable padded carriage glides smoothly and quietly on the steel frame. The AeroPilates® Reformer 266 comes with the AeroPilates stand to elevate the reformer about 10 inches off the ground to allow for more advanced Pilates exercises. Get a lean, sculpted body with the AeroPilates Reformer 266. The Stamina AeroPilates Reformer 266 is a great way to achieve a complete aerobic workout for improved cardiovascular fitness to aid in weight loss. 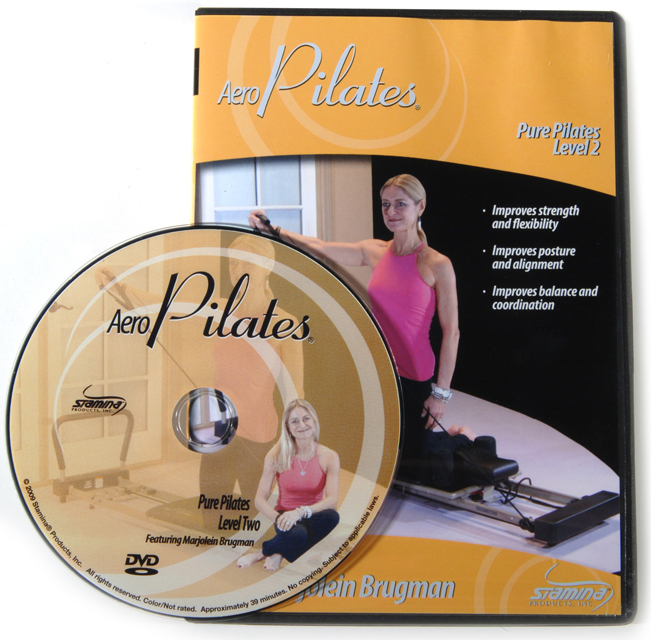 With the three new AeroPilates workout DVDs included, all featuring Pilates expert Marjolein Brugman, the Stamina AeroPilates Reformer 266 is an ideal setup for use in Pilates studios, fitness gyms, colleges, high schools, professional fitness centers and home workout areas. This revolutionary reformer effectively strengthens the entire body and improves overall flexibility and is sure to help you reach your fitness goals. The AeroPilates® Reformer 266 Home Studio utilizes a unique glide system that reduced impact on the joints and provides an exceptionally stable, quiet and smooth ride. High-density foam shoulder pads and an adjustable headrest also provide exceptional comfort and support, making this Pilates Reformer the best choice for all of your AeroPilates needs. Call 1-800-875-9145 to chat with one of our fitness advisors with any questions you may have about the AeroPilates® Reformer 266. 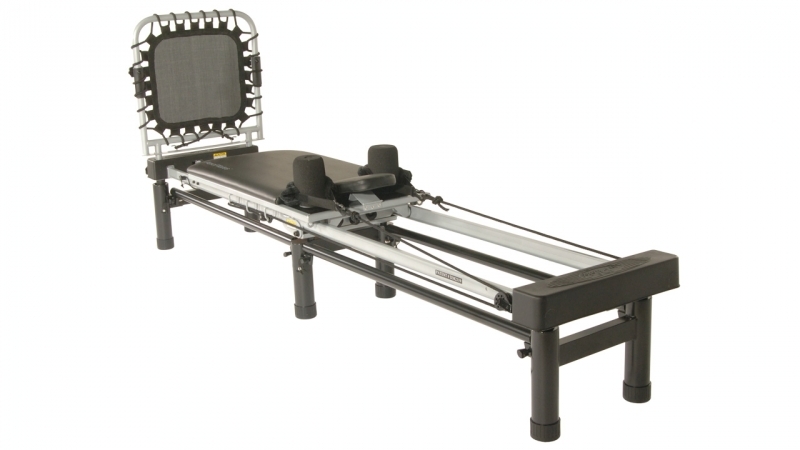 Order your AeroPilates® Reformer 266 from FitnessZone.com today! Three heavy-duty, elastic resistance cords. Stand to elevate reformer 10" off the ground. Padded, adjustable head rest and adjustable, fuzzy hand/foot straps for added comfort. Folds for easy storage and wheels for easy portability. Clips to make rope length adjustments fast and easy. Dimensions: 86.5"L x 7.5"W x 20"H; Weight: 90 lbs. Order your Stamina AeroPilates Reformer 266 from FitnessZone.com today!